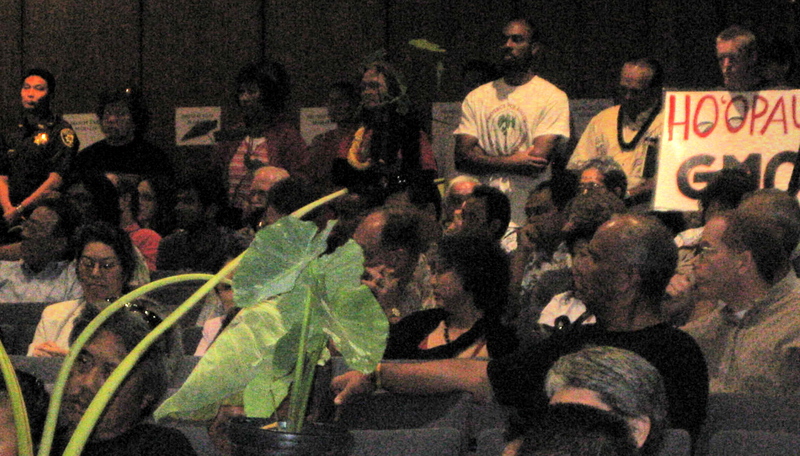 Last night at the public hearing on the Draft Science Plan for Papahanaumokuakea Marine National Monument, held at the monument office in Hawaii Kai, a troubling consequence of the lack of environmental review was elucidated. 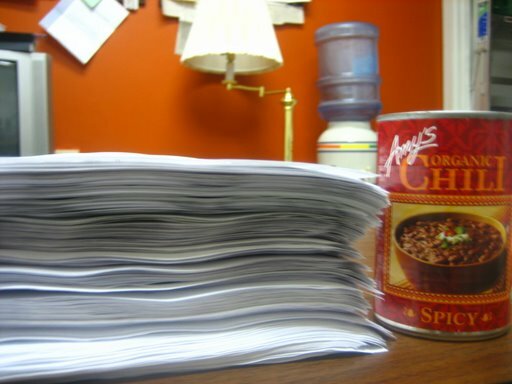 One of the Science Plan authors stated that research activities that have already been permitted are assumed to have gone through a “rigorous” review by management. The problem? Actually, there could be quite a few from this muddy statement. For one, this statement suggests that research activities that have already been permitted will not be scrutinized- nor, certainly, environmentally assessed- in the future. It sounds like grandfathering-in existing and previous permits, meaning some activities that have been permitted in the past will be continuously assumed to pass muster, despite never actually being environmentally reviewed. Clearly, grandfathering-in research activities so that they never undergo environmental review creates informational ravines that make cumulative impact analysis impossible. Cumulative impacts, the incremental impacts of an action when added to other past, present, and reasonably foreseeable future action, must be assessed. The managers need to understand the big picture, especially when making seemingly small decisions like permitting. Secondly, what is this “rigorous” review that the manager mentioned? There has been no environmental assessment on any permits nor the entire permitting system nor the Science Plan, so it clearly was not environmental review. If this rigorous review were undertaken via the prioritization system of the Science Plan, that, too, is problematic. As I have blogged before, the Science Plan has two tragic flaws: (1) the prioritization scheme that doesn’t actually prioritize permit activities (To prioritize permit activities, it asks, pros and…pros?, leading to 97% of potential research activities to be ranked as “critical” or “high” in importance.) and (2) the lack of environmental review. But, the environmental assessment did not come with the Science Plan. The managers argue that this is the draft plan, so environmental assessment is not appropriate now. However, they also proclaim the plan to be an evolving document- not problematic necessarily. The evolving nature of the plan is problematic, however, for lack of environmental review because, if it is meant to evolve, when would the managers consider environmental review appropriate? There could always be an argument that it is not truly finalized yet if it’s an “evolving” document. On the other side, if the monument managers, in fact, conduct an environmental assessment for the Final Science Plan, which is the next step after last night’s public hearing, the decision on permitting prioritization will have been made. And, environmental assessment is legally required to take place prior to decision-making. The whole point of environmental review is for decision-makers to be informed of environmental impacts before they make final decisions. So, either the Science Plan truly is an evolving document, in which case an environmental review is likely to be put off forever. Or, the Science Plan will be finalized in the next step, the Final Science Plan, which frustrates the point of environmental review taking place before decisions are made. Confusing? Yes. But it need not be. KAHEA urges the monument managers to take the straightforward approach by conducting environmental review of the Science Plan, which guides the entire permitting process, prior to finalization of the plan. KAHEA also urges environmental review of all permits- no grandfathering-in. Each proposed permit should be looked at with a fresh eye, through the lens of cumulative impacts, which inherently change over time. Let’s hope that public comments are indeed incorporated into the Final Science Plan, whenever that may be. Otherwise, the one-sided prioritization system will continue to rank most activities high, leading to excessive access and impact in a fragile, irreplaceable ecosystem. What can you do? Speak up! Hawai‘i, July 23th, 6-8 p.m.
308 Kamehameha Ave, Suite 203, Hilo, HI, 96720. All written public comments must be received by the monument managers by or before August 10. Walking into the Farrington High School cafeteria for the Mauna Kea Thirty Meter Telescope (TMT) hearing for the draft EIS, was like walking into a world of glossy posters and seductive color schemes. TMT staff were present in great numbers, anxiously awaiting questions from the community. More of a sales pitch at the beginning than a hearing, the TMT guys tried to entice the crowd with turkey rolls, brownie bites and promises of community benefit and higher education packages that sound more beneficial to the community than what they really offer. 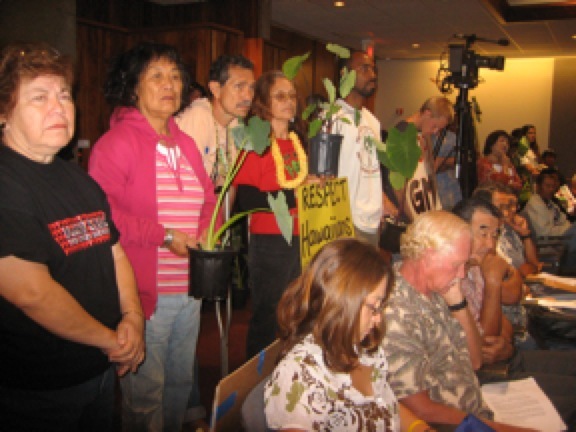 From cultural education programs for the employees of TMT to a zero discharge wastewater plan for the facility, the mitigation measures brought forth did not seem to address the legitimate concerns of the Hawaiian people. Mitigation measures for the decimation of a cultural site of extreme importance, not to mention the irreparable damage the TMT would cause to the environment, were not attended to because these two issues are inevitable and irreversible. The oral testimonies given were fairly balanced between support and opposition. Those in favor of the TMT went first, followed by those in opposition. TMT supporters mainly argued that the monetary packages offered to the community would be a godsend, and that Hawaii should be on the forefront of astronomical advances. Our Program Director, Marti (who blew us away) and those in opposition brought up several interesting and valid points. The main issues brought up were that a federal EIS is required because TMT is funded by federal money, a permit for TMT will not be issued as it is in a conservation district, TMT doesn’t show a comprehensive management plan, the Board of Land and Natural Resources should be reviewing the EIS because TMT would be in a conservation district, students shouldn’t have to give up a cultural site just to receive chump change (education package), and the fact that the site has great environmental and cultural significance. Overall, the hearing was informative, and those in opposition got to voice their opinion to the people that are carrying out the project, who are fully aware their work will devastate the land and decimate a culturally significant site. Whether or not TMT will actually be built is not yet known (our fingers crossed are it will fall through). Where’s the public in this “public process”? Was thrown into the deep waters of the 1,200 page Papahanaumokuakea Draft Monument Management Plan for the Northwestern Hawaiian Islands this summer. It’s given me a unique opportunity to observe the workings of this “public” process. I’ve worked with experts in reviewing the plan, and attended several of the public hearings set up by the State/Federal Co-Trustee agencies. My observation: It is a recipe for disaster to take two years of closed door processes, package it into 4 very thick volumes and then expect the public at large to comment in any detail about what the plan entails. I first attended the hearing at the Department of the Interior in Washington D.C. (the only hearing held outside our lovely archipelago). I was quickly made aware of the fact that I would be the only person offering public testimony. So much for the public in this public hearing. After giving an impassioned 20 minute explanation of KAHEAʻs overarching concerns, I was flooded with a steady stream of “How do you do’s?” and “Can we get a copy of your testimony?” from interested national NGO’s and congressional staffers. I was glad for the opportunity to get the word out on our key concerns, despite the dismal showing of public engagement. The next chance I had to attend was the final night of the Federal/State Co-Trustee Island Summer Hearings Tour 2008. From all accounts, the crowd of about 60 at the Japanese Cultural Center in Moilili was by far the largest of any of the meetings. The format was a little different from D.C. and to be honest, quite unlike anything I had ever witnessed before. After a formal introduction to the Monument (same as D.C.), was an open discussion with Monument staff who were broken into 6 tables that synchronized with 6 priority management needs from the plan. It had an element of “spoon-feeding” to it, and considering that many had come to supply public testimony, made things run a little later than they may have otherwise. Nonetheless, I found this segue to be a nice opportunity to bring some of my major gripes with the plan directly to the folks who had put it together. Over the course of this experience, I have been amazed at the bizarre nature of this top-down “public” process. I’d suggest that a proper, engaged public process wouldn’t have waited until the review period to see what the “the public would come up with.” It all reminded me of the hide the ball game my law professors sometimes like to play. Except this is not law school. Why intentionally leave something as important as public oversight and advisory committees out of the plan, on purpose? Something as important as the Monument surely deserves better! All told, the nine public meetings yielded about 250 total attendees and 70 testifiers. Not exactly up to par with the 100,000+ comments that helped create the Monument. Essentially, there was very little public at in these public meetings. It is the job of the government managers to engage the public in this process–to bring the place and the process to the people. The length of time since the Co-Trustees have seen daylight, coupled with the sheer magnitude of the plan are likely culprits for this erosion of public engagement. I simply cannot accept that after previous outpourings of energy, suddenly nobody cares enough about this place to speak out. Another likely reality involves the seventy five day open period for submitting comments, which is rapidly coming to a close on July 8th. Compared to the two years it took countless full time staff to develop the plan, 75 days is simply too short a time to garner the effective and real public involvement needed to protect this special place. This is one of the truly intact Hawaiian reef ecosystems left on earth–precious cultural and natural heritage that deserves our attention and voices. You can learn more about problems with the current plan, and how to ask for a better process and more time to get the “public” involved at: www.kahea.org. 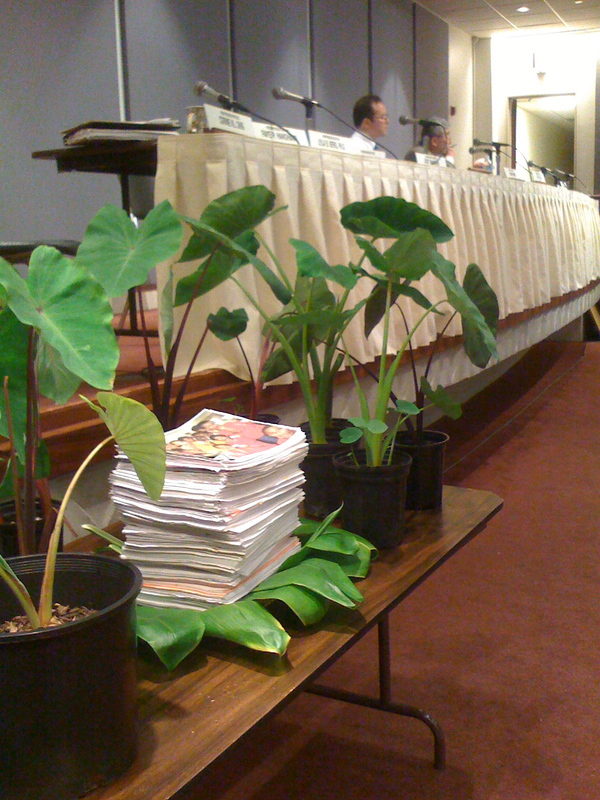 A hearing was held March 19, 2008 to protect Hawai’i’s ancestor and native crop – taro – from genetic modification and patenting. 6,000 people submitted written testimony in support. 8 hours of verbal testimony were given. Now, the legislators need to pass this bill. Help them make the right decision. Click here to get involved. You can help. To get involved, click here! My mother used to serenade me with songs about exotic places. Travelogues of oceans, forests and island sweethearts. This is how she passed on knowledge. Songs reflecting simpler times and storytellers of the past. Our people were more disconnected than ever. Being Hawaiian was not popular. So to sing her aloha was her moment of self determination. If someone was to have told her she could no longer share limu among her classmates without a permit she would have sighed, “That’s why we going die out.” But she would respectfully accept it. She felt people saw her particular relationship with the ‘aina as peculiar. Replanting kalo is the living lifeline that holds the stories of our past. Changing the genetic makeup of kalo will erode that lifeline. Hawaiians are now re-establishing their priorities in maoli culture. A moratorium on varieties of maoli kalo and introduced kalo as specified in SB 958 is needed for more reasons than just keeping steroid-like pumped up food off our tables. It’s needed so we can pass on to our keiki more than just “stones.” We can pass on the story of Haloa. To submit testimony on the protection of taro, click here. Your gift makes the difference. 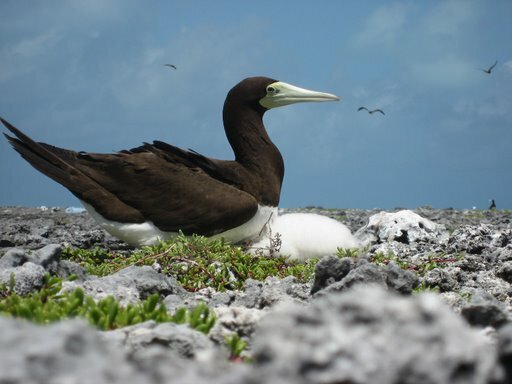 Please support the protection of Hawaiian lands and waters by giving today! This blog is a project of KAHEA: the Hawaiian-Environmental Alliance, a non-profit 501(c)3 working to protect the unique natural and cultural resources of the Hawaiian islands. Kāhea translates to english as "the call."